To see photos from the 2017 RIDE For Our Vets, click here. There are many ways you can participate in The RIDE For Our Vets! 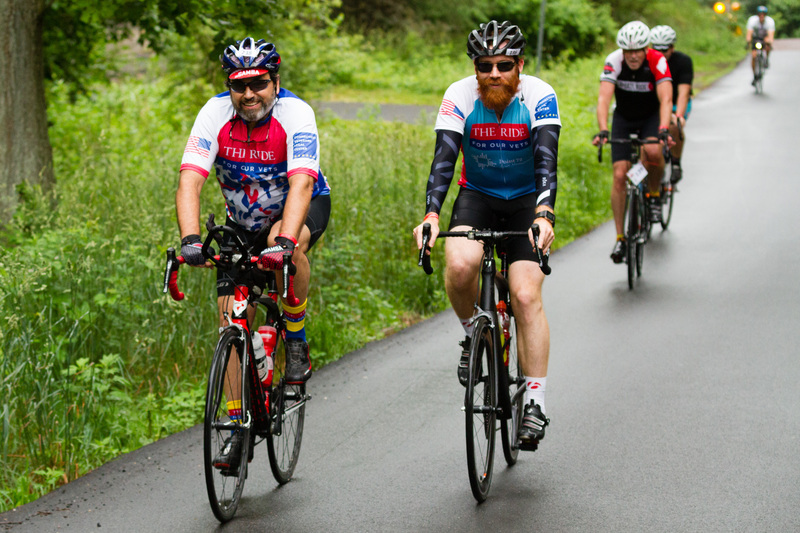 Register as an individual rider or walker- Support Connecticut veterans and the Connecticut Veterans Legal Center by commiting to one of our four cycling routes or 5k walk! We'll set you up with a personal fundraising page, making it quick and easy for family and friends to make a credit card donation, or a donation form for check or cash donations handed in at The RIDE. Our rider coach is there every step of the way to provide our riders and walkers with the fundraising and training support you need! Create a team- Being a part of a team is a great way to commradery in the office, among the members of your club or religious group. The RIDE For Our Vets is also a great family activity, with a route designed for all ages and abilities! Teams have access to a team fundraising page (along with a personal fundraising page for each participant), along with valuable recruitment resources and templates. Interested in having our rider coach attend a meeting, set up a recruitment table, or just talk strategy? Reach out to her now to get the ball rolling! Volunteer- Our volunteers make The RIDE For Our Vets the best it can be! For more information on the various volunteer roles and how to register, please click here.